This little caffeine hit works well as a pick me up along with an added protein hit. 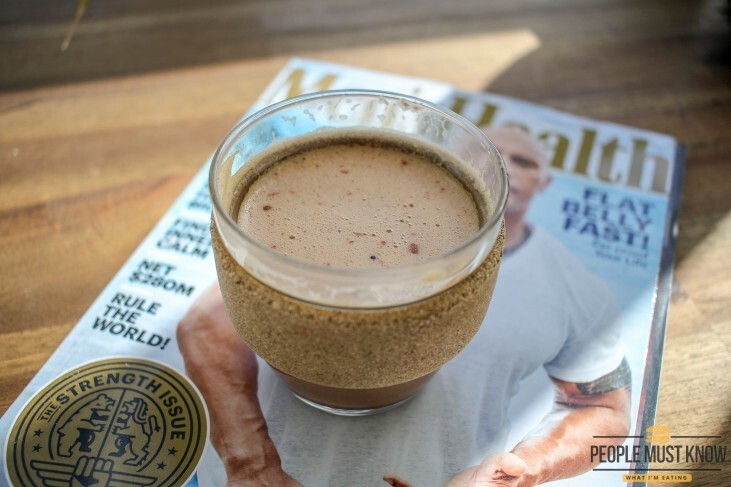 Simply mix some good protein powder with freshly pressed coffee and you have a perfect pre-workout drink or afternoon pickup on days when you need to meet your protein levels for training. At the moment I’m mixing in a scoop of chocolate flavoured Pure Warrior Bulk protein powder from Swisse. If you want to add some fats to the drink for a keto type drink, add in a teaspoon or high-quality coconut oil and a teaspoon of organic butter to increase that fat content of the coffee. Personally, I’m not into the keto style diet as I burn a lot of energy a day with all the training I do. My complex carbohydrate diet doesn’t affect my body weight but does have an impact on my energy levels when I go without or don’t eat enough.